Cucumbers grown in the garden need a warm climate, constant humidity, without water stagnation! If we want to grow cucumbers in the garden, we need to know that they prefer a fertile soil of medium texture worked in depth with good sun exposure and a slightly acidic pH. For efficient and non-ecological cucumber plantation, the rotation of crops must be respected; cucumber can return on the same surface after three or four years. Ecological cucumbers can be grown in combination with lettuce, cabbage, peas and beans. Cucumber varieties may be hybrid or common. Hybrid varieties produce only female flowers, the common (rustic) varieties will produce feminine and masculine flowers. Sowing can be done at the end of April, nesting 3-4 seeds at a depth of approximately 1.5-2 centimeters. The distance between the rows in the cultivation of the cucumbers must be 1.30 meters, and between the plants in turn about 70 centimeters. When preparing the land, in autumn about 30 pounds of manure or well-matured compost can be incorporated into the soil for 10 square meters of land. For a rich harvesting of cucumber crops, irrigate them often with a moderate amount of water to avoid water stagnation. 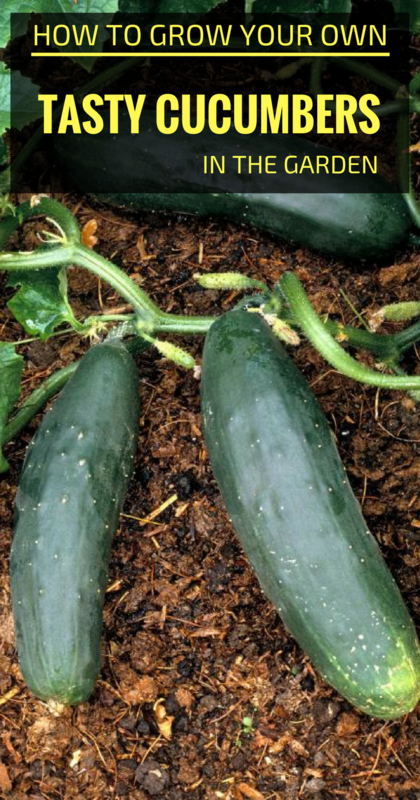 During vegetation, when cucumbers are cultivated, get rid of weeds and aerate the land. Whoever wants to avoid cucumber pickling can replace it with an effective alternative: mulching. One way to eliminate unnecessary labor and to increase production in cultivating cucumbers is to guide poachers or support structures. 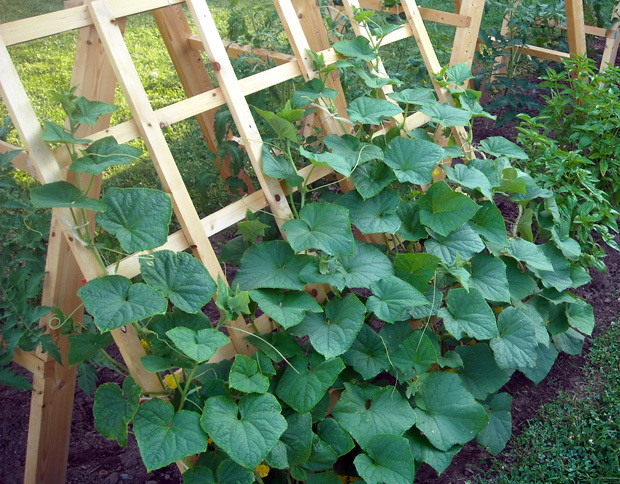 The height of the poles or structures should be about 1.5 meters, and the growth of cucumbers is limited when they reach this height. When the cucumber emitted the fifth leaf, the growth tip is eliminated in this way, it stimulates the development of the lateral branches; when the lateral branches have developed the seventh leaf, eliminate the tip. Cucumbers are harvested before they reach full maturity, usually harvested when they have reached the desired size and have an intense green color.